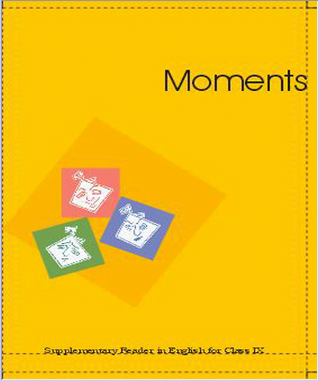 English text book “Moments Supplementary Reader” E-book for class 9, CBSE , NCERT. Home » 9th Class » English text book “Moments Supplementary Reader” E-book for class 9, CBSE , NCERT. English text book “Beehive English” E-book for class 9, CBSE , NCERT. Hindi text book “Kritika” E-book for class 9, CBSE , NCERT. Mathematics text book “Ganit” Hindi Medium E-book for class 9, CBSE , NCERT. Science text book “Exemplar Problem(Hindi)” Hindi Medium E-book for class 9, CBSE , NCERT. Social Science text book “Bharat Aur Samkalin Vishwa-I” E-book for class 9, CBSE , NCERT. Social Science text book “India and the Contempoarary World-I” E-book for class 9, CBSE , NCERT. Urdu text book “Gulzare-e-Urdu” Urdu Medium E-book for class 9, CBSE , NCERT. Urdu text book “Jaan Pahechan” Urdu Medium E-book for class 9, CBSE , NCERT. «English text book “Beehive English” E-book for class 9, CBSE , NCERT. I want to know how to download full book PDF?